Any busy and running office with its employees can become very messy so quickly. Due to activities of employees, everyday some messes may not get cleaned properly. In that case we need to careful to clean up our offices in the right way. When cleaning is totally uncontrollable by us, we can take help from professional cleaning services. Because a clean office is vital to the running business. Its increase creativity and improve productivity also. So, today we will try to give you some simple tips by following these you can your office more clean like before. To maintain your office cleaning essentials keep a basket or closet with all of your cleaning things like dusting spray, paper towels, glass cleaner, microfiber wipes etc. Keep every item in the proper place in office. Try to maintain some fixed places.If you feel trouble to maintain properly put level the storage locations. Try to limit the number of items on your desk.A desk can become very messy if papers begin to pile up.Dust can easily gather on papers and books that remain in one place on a desk. Clean your uses things in regular basis. Like clean your phone frequently. Use spray cleaner with a cloth and wiping that on your phone. Clean phone, dial pad also neatly. Do this every day. If you have plants in your office, then you should maintain regularly take care of plants. Remove dry and shedding leaves, water consistently. Try to give them in sunlight now and then, it will keep your plants, beautiful and healthy.If you cannot maintain that process then try to purchase some artificial plants. But remember You have to clean these also regularly. To keep net and clean an office, we need to care about also office furnitures. In regular basis clean behind your furniture as well. That strip of dust and dirt behind your desk betrays an otherwise clean and tidy office. 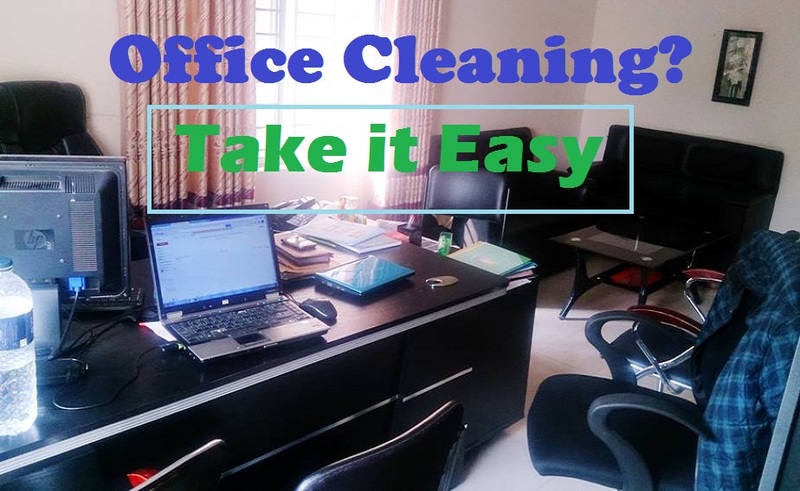 Give a proper instruction to your all employees about the cleaning of the office. Let them understand that its a totally teamwork processing. So, they will cooperate you. When you need to take their help also. If all try for clean office environment, it is not tough to keep your office place clean and hygienic. When you can not manage to clean your office by yourself, then call professionals. Kanta Is a School teacher. He loves social networking and internet presence. Also he love blogging and traveling. He run a fashion blog and work as a guest writer. I totally agree with all the tips provided above. If only these are followed religiously, we will all have a cleaner office each day. Clean office can no doubt improves employee’s efficiency. So far this blog at http://www.cleaningservicetips.com is one of the best and most concise helpful blog i had read.